There’s a topic that’s been brewing up a storm in my head over the past couple of months. I’m already a dog mom to Chuy and I’m currently 38 weeks pregnant with my first baby. I’ve spent the last 9 months researching and stalking pregnancy forums to learn all I can about this new chapter of my life. There’s a topic that I’ve seen come up more than once that really boils my blood. Trust me, this made me outraged way before I was even thinking of getting pregnant. I see families putting their pets up for adoption or discarding them at the local shelter because they are having a baby. It. blows. my. mind. I have also seen the hot topic of people saying that dogs are not kids and that you could never love your fur kids the same way you love your human kids. It’s infuriating and heart breaking all at once. As a dog mom and a mom to be, I really feel the desire to share my two cents on this. When I first found out I was pregnant, I was in shock. Yes, we planned the pregnancy. BUT, I didn’t think it would happen on the first try. I figured it would take months! NOPE. This little girl made it clear that she needed to be here now. In my initial shock, I also felt immense sadness for my bond with Chuy. I was terrified that he would somehow feel neglected or loved less. I actually cried for a few days about it. It’s always been Chuy and I, at home, working all day, every day. As most of you know, my love for Chuy inspired me to quit my old job and pursue blogging full-time. Look. I’m an educated woman with common sense. I know that Chuy is not a human. I know he is not a baby. He was never a replacement for a “real” child. We got Chuy because we wanted a dog. Specifically, we wanted a Chihuahua. I love the small dog lifestyle. I love that we can take him with us to so many different places. I also loved that having a dog meant I didn’t have nearly the same responsibilities as a parent of a human child. If I want to go out, I can lock Chuy in his crate and he’ll be perfectly ok. I’m pretty sure I’d be in prision if I do that to Baby B. At the same time, bringing a puppy into our lives has given us a sneak peek into parenthood. I’ve woken up every hour on the hour to the sound of Chuy crying because his stomach hurts and he needs to go outside and eat grass. I’ve sat up all night with Chuy while he’s throwing up and sick. I’ve given him medication multiple times a day when he’s having an IVDD episode. I’ve rushed him to the vet for an emergency. I’ve called out of work so that I could attend to him. I’ve spent the entire night googling medical conditions and sending myself into a panic. I’ve woken up to the sound of puke at 3am. I’ve stepped in poop and pee on my way to the bathroom at 2am. I’ve protected him from danger. I’ve made sure he is physically and emotionally taken care of. I’d say that makes me a dog mom or a pet parent to my fur baby. While there have been challenges along the way, there’s been more happy times. Chuy literally makes me happy and fills my heart with love. We have shared so many good memories, vacations, and adventures together. While he can never verbally talk to me, he talks to me with his soul. I can’t explain it but if you have this type of bond with your pet, I know you get it and it doesn’t need explaining. While dogs and babies have some similarities, they also have extreme differences. I get that. Babies are more demanding. You can’t leave them home alone. You have a lifelong responsibility with a child. It’s different in so many ways but the same in so many ways. BUT, one thing is for sure, love is love. There are people out there that say your love for your dog can’t compare to the love for your kid. I disagree. I feel the same deep, emotional love for each of my babies. There have been times where I watch Chuy sleep and my eyes well up with tears because I love him so much that it’s overwhelming. It’s bittersweet for pet parents. We know that our fur kids will not go on to college and get married. Around the time our “human” kids are becoming obnoxious teenagers, we must say goodbye to our fur babies. It’s the most heart breaking thing for a pet parent. If you asked me to put the bond I have with Chuy into words, the words fail. It’s not something that can be explained until you’ve felt it. People say the same about kids. I’ve yet to hold my daughter but I feel the same way for her already. I can’t even imagine how much more that will grow when I finally get to hold her in my arms in two weeks. Chuy, my dog, IS family and I’m his mom and my husband is his dad. We are the ones that look after him, feed him, bathe him, shelter him, and show him love and affection. His well-being depends upon me and my husband. Nobody else. We are all he knows. To the people that have a problem with the terms pet parent, dog mom, fur baby, I must ask you this? Don’t you have anything better to worry about? Aren’t there worse problems in the world than hating on people that have the capacity to love and care for an animal so deeply? I actually feel sorry for you. I bet you’ve never been fortunate enough to actually have this type of bond with an animal. If you don’t get it, you’ve never experienced the intense amount of love that you can have for an animal. In the crazy world that we live in, wouldn’t it be great if there were more people that shared an intense emotional love for their pets? Pets make us better people. Better parents. Better humans. I wish the world was full of more people that treat their animals with the kind of love that these parents claim to have for their human children. I know the world would be a much happier place if that were true. I’ve always said my entire life that you can tell a lot about a person by the way they treat animals. I was raised with all kinds of pets (cats, dog, rabbits, birds, turtles, horses, fish) my entire life and it taught me to be a compassionate, caring, kind, human being with respect for all living creatures. My daughter will also be taught to have the utmost respect for all animals. She will begin to learn this from her BIG BROTHER, AKA Chuy! Animals have amazing souls and can teach us so much about our selfish, egotistical human ways if we would shut up and listen! So, when I say “family”, that includes all of the humans and animals under my roof. I won’t apologize to anyone for that. My dog IS part of my family and I love him like a child. 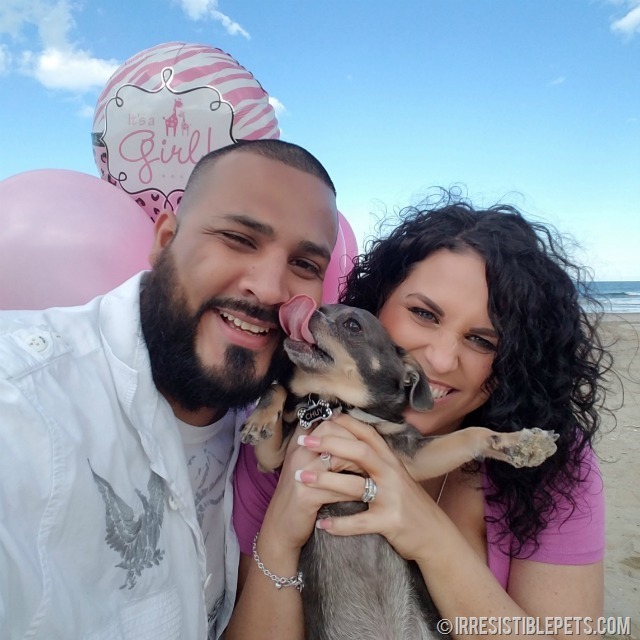 Stay Connected with Irresistible Pets! Couldn’t agree with you more. Chuy is my granddog and I love him! AGREED! Simba is like my child and I love him to death. I don’t see anything wrong with that. People are cray. Mind ya biz. LOL My dog is not “just a dog” to ME or my family. He’s a part of the fam & that’s how it’s ALWAYS gonna be. Amen!!! I love seeing the pics of Simba and your baby! Thank you 🙂 That’s why I love our BlogPaws community. So many amazing people and pets that “get” this! This is wonderful. I e read many takes on this. Some from the pet parent no kid perspective and some from the human kid no pet perspective. But never from both! …thank you for sharing this with us. Thanks Jessica! I felt this way before even thinking of becoming pregnant and even more now that my daughter is here. I love both of my kids! 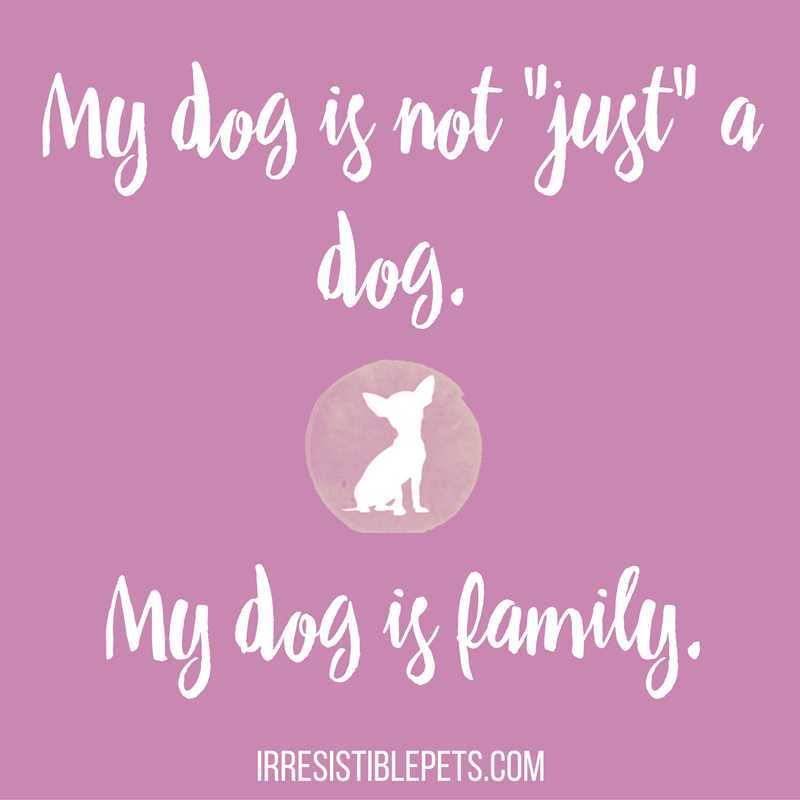 All pooches should be treated as human family members!! I’m totally with you on this. 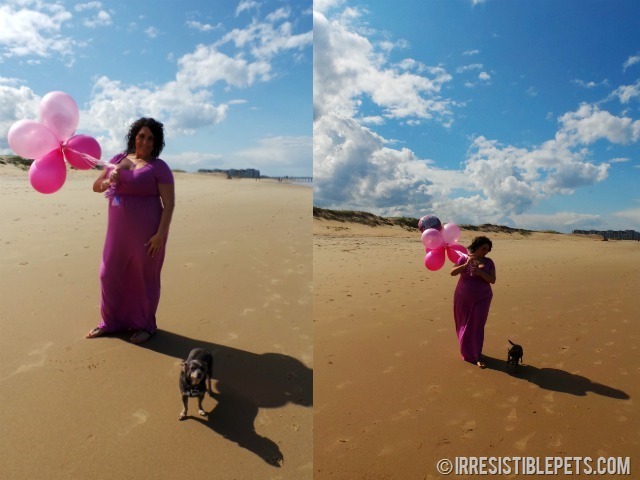 Pet parents who are giving up their pets just because they’re having a baby is really sad. Pets are family. You don’t give family away or put them up for adoption. 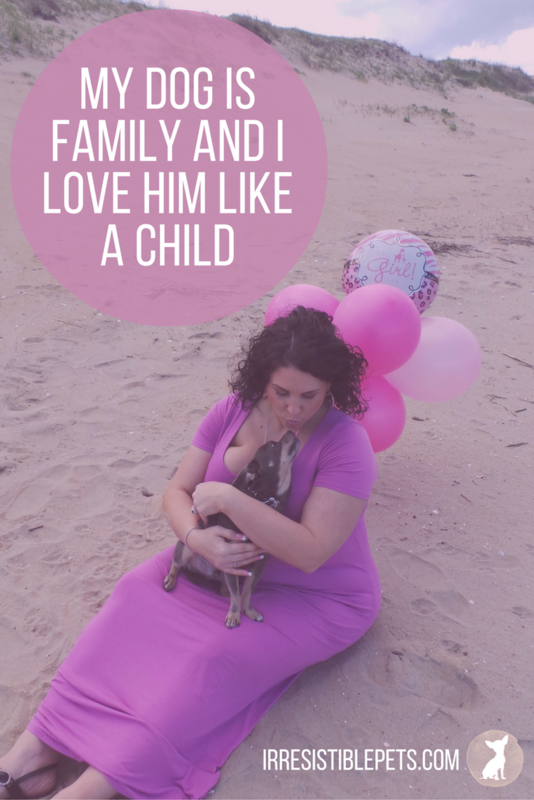 It is no doubt you can’t love your fur kids like your human kids like you said in your first paragraph and it is quite sadden but that would not stop you from loving you fur kids too. It might not be an easy transition when your human kid is still at infant. I believe as time goes on you would be able manage this better. Chuy is adjusting well . . .still cautious of her but he is coming around. I suppose I should do an update post on how things are going! And you’ll discover as times goes on that most dogs bond very closely with new babies that join the family. My dog Soldier was so protective of my grandson when he was born that he wouldn’t let anyone he didn’t know near the baby. As your daughter grows, she’ll have a best friend who will always be there for. The bond of love will simply grow into a larger circle. That’s so sweet. Chuy is already protective and sweet with her. I cant wait until they can play together! I always tell my fiancee that whenever we have kids I’ll still probably tell people that Scarlett, my GSD, is my first born! I can’t wait to introduce my babies to my first fur baby! I totally agree with what you wrote here! Also, Chuy is real real cute! Cheers! I love that you love Chuy as a child. I read your article about sleeping on the floor with Chuy when you had to, and it was wonderful to find someone who has done the same thing as me. My little dog Milo as IVDD and I sleep on the floor too when I have to, and don’t think twice about it. Yet I have friends who think I’m crazy… but they are the ones missing out on the love, aren’t they? They are definitely missing out. It’s so great to connect with like minded pet parents like yourself that totally get it 🙂 hugs and kisses to Milo!